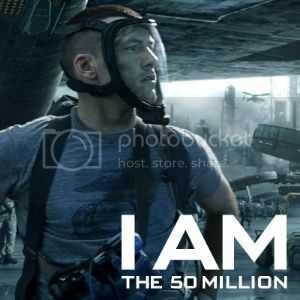 Are you one of the 50 million? The Avatar Facebook page reached a txantsan milestone in smashing through the 50 million likes barrier! If you haven't already seen their Facebook page, Lightstorm have posted a picture of James Cameron thanking us fans for our continued support. Just choose your favourite image and update your profiles. Have fun. on Facebook over the years oddly enough. Great! Great and fantastic! My character what for a suprise? Tsu'tey! Yes, they are a bit large. I had to shrink mine down. I suspect the Avatar Facebook page will get busier once filming for the next films starts. Being square, they shrink easily. So that's what all that 50 million stuff is about. I was just being lazy, but I like it better in my sig anyway. Yep, I chose an image and shrunk it down and made it my new avatar image. Irayo, Alan, for posting about this. And I bet Avatar fan forums in general will get busier once filming of the sequels gets underway. It's pretty cool it made it to 50 million. I did switch both my Facebook profile pictures over the weekend though. Yeah, no doubt 50m is a feat. I might be misremembering, but I don't think Avatar sold more than 100m or so tickets, so to have 50m likes is even more impressive.